I went along to The Wave this weekend to demand action on climate change. 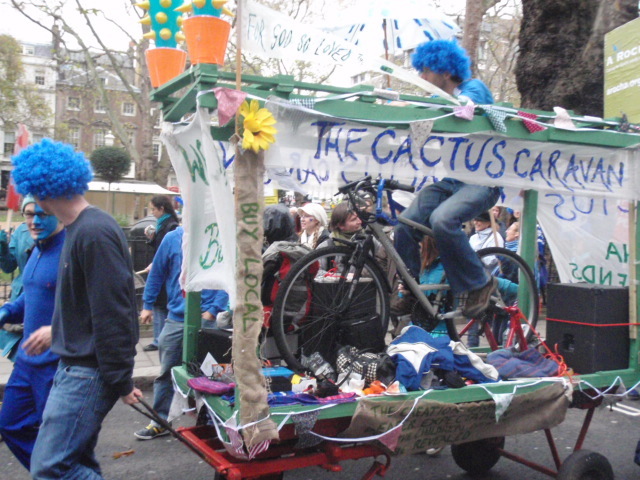 It was also a good opportunity to checkout what the 'cactus caravan' were doing with just one bicycle-generator and sub-station. I must say I was impressed, they had one person producing easily enough energy to power the some decent speakers and a mixer, which entertained the masses with classic protest anthems such as Gold Lion by the Yeah Yeah Yeahs and Peter Gabriel’s Sledgehammer. Well done guys!